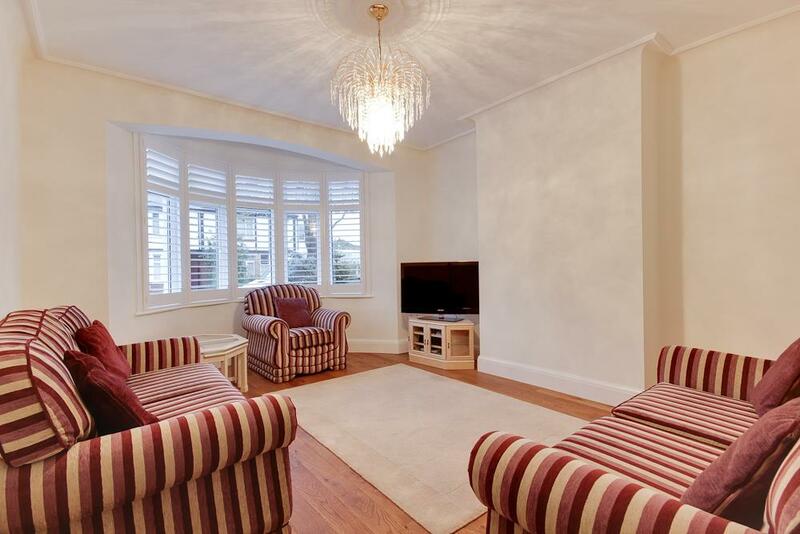 Beautiful 4-bedroom terraced house, newly refurbished throughout to a very high standard. 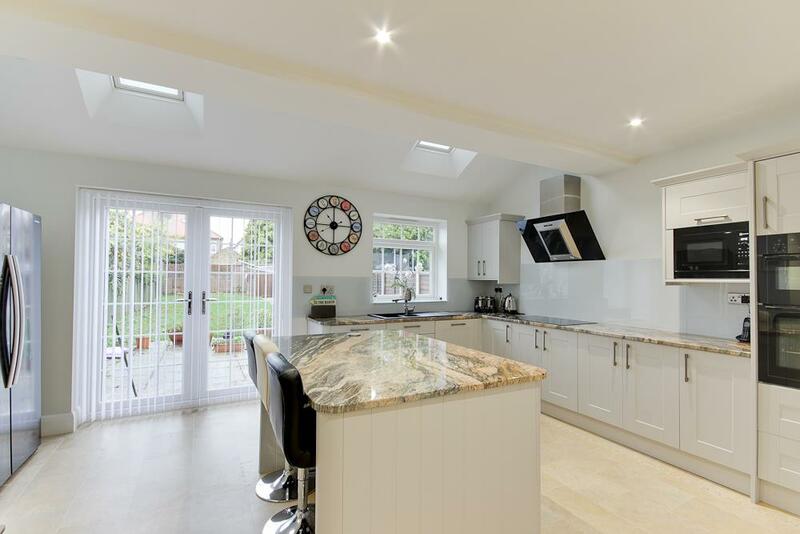 The property offers a huge amount of accommodation with a large character lounge to the front aspect and a large modern open plan kitchen/diner to the rear with french doors leading out onto the rear garden. To the ground floor there is also a utility and cloakroom. To the first floor are 3 good size bedrooms and generous stylish family bathroom. 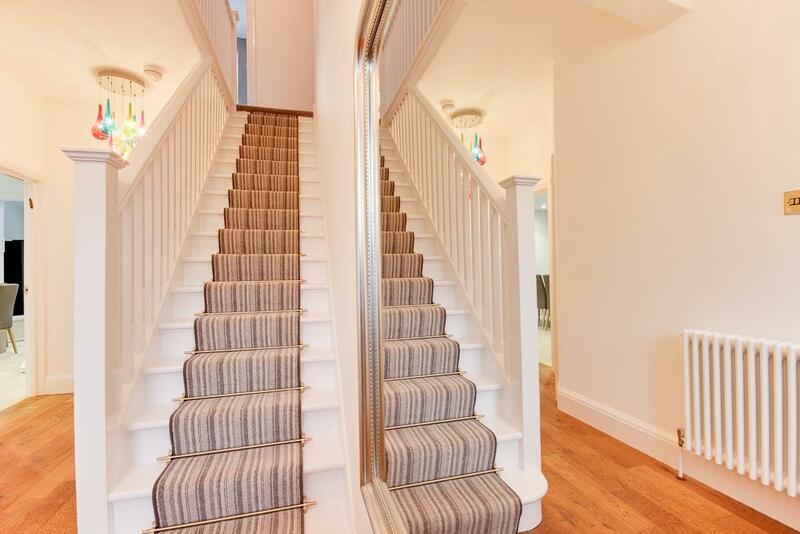 Stairs up to the second floor lead on to the stunning master suite of spacious bedroom, bathroom and storage. 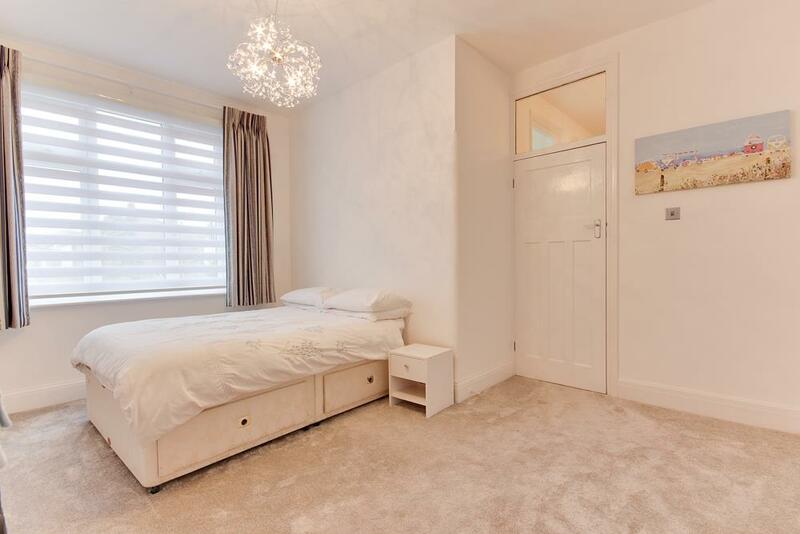 Situated in a quiet residential area of Southchurch close to local amenities and a short walk to C2C’s Southend East Station with direct links to London Fenchurch Street station. Including 2 off street parking spaces to the paved front and a large west facing rear garden. Viewing highly advised. Brushed and stained rustic oak flooring, cast iron style radiator, skirting boards, coving, 2 fixed light fittings, original refurbished wooden staircase, under stairs storage & cast iron style radiator. 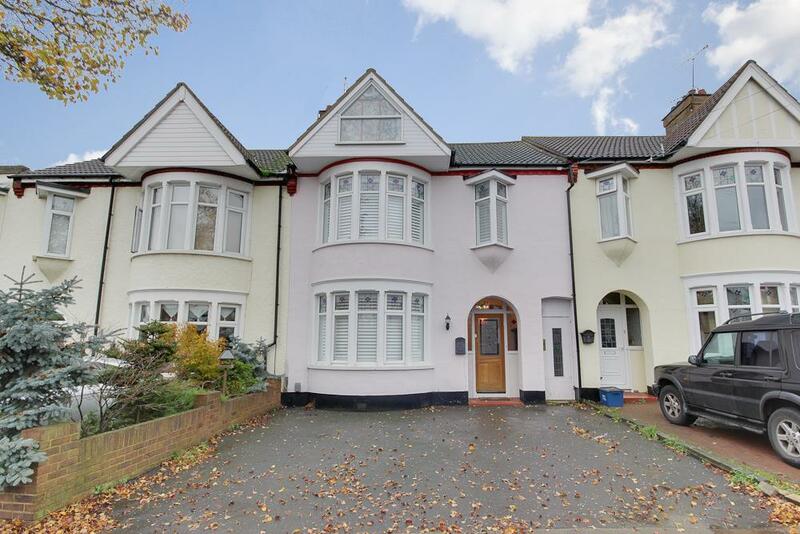 Solid oak flooring, skirting board, coving, ceiling rose, large double glazed bay window to front aspect, cast iron radiator, TV & phone line points and fitted blinds. 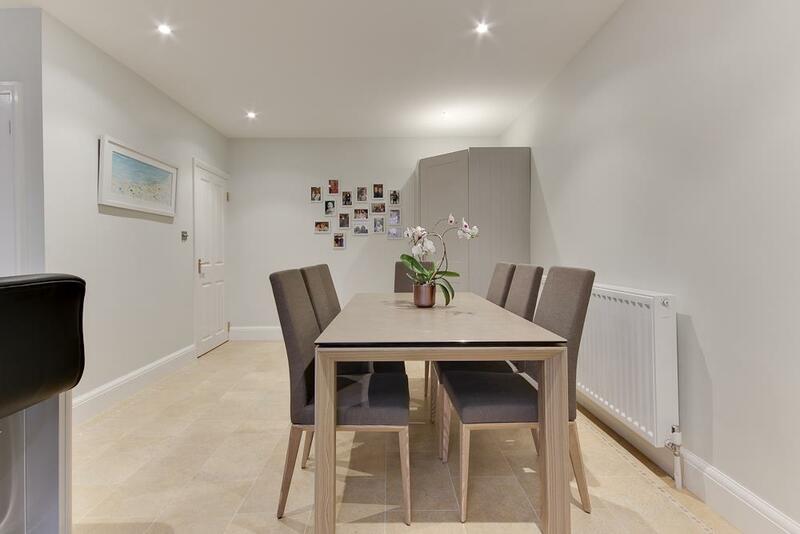 With Kardean flooring throughout, LED spot lights, large radiator, custom fitted pantry cupboard, wall and base units, granite work surfaces and feature granite panelled island with breakfast bar. 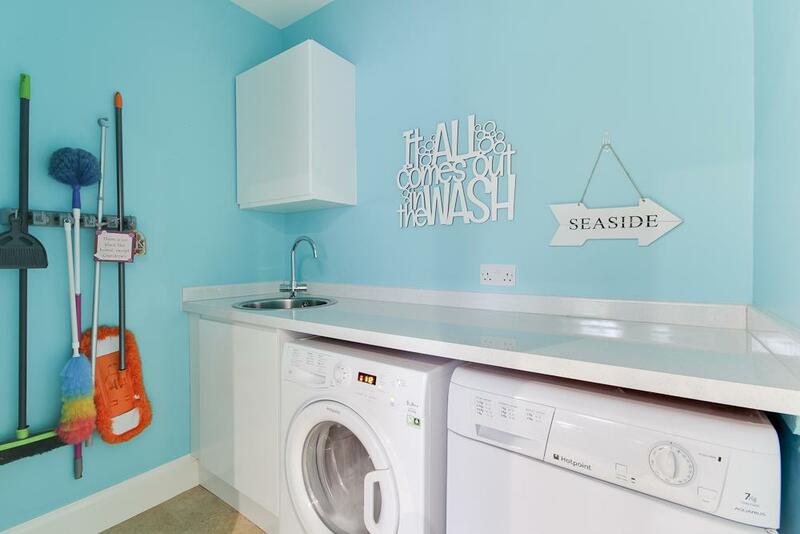 Large composite sink and draining board, treated glass splash back, 5 ring induction hob and extractor fan, and integrated Neff appliances including two ovens, microwave, and dishwasher. Double glazed window to back aspect, double glazed french doors leading on to back garden and two velux windows to back aspect. Access to utility room. 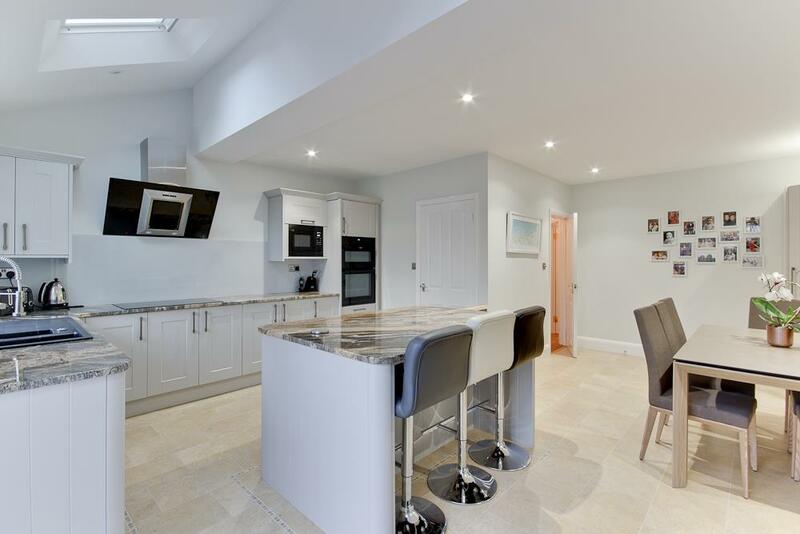 Kardean flooring, skirting, extractor fan, further kitchen cabinetry space and plumbing for washing machine and separate dryer, stainless steel sink & hanging light fixture. 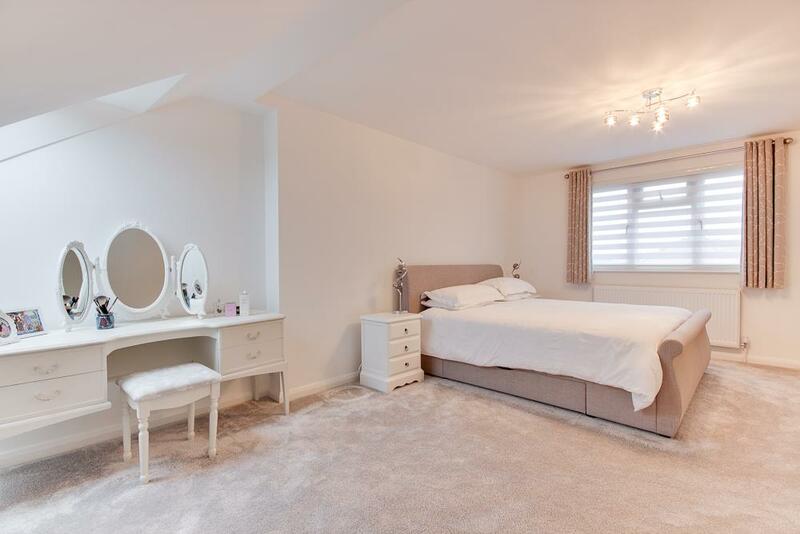 Solid oak flooring, heated towel rail, hand wash basin, WC, skirting & extractor fan. 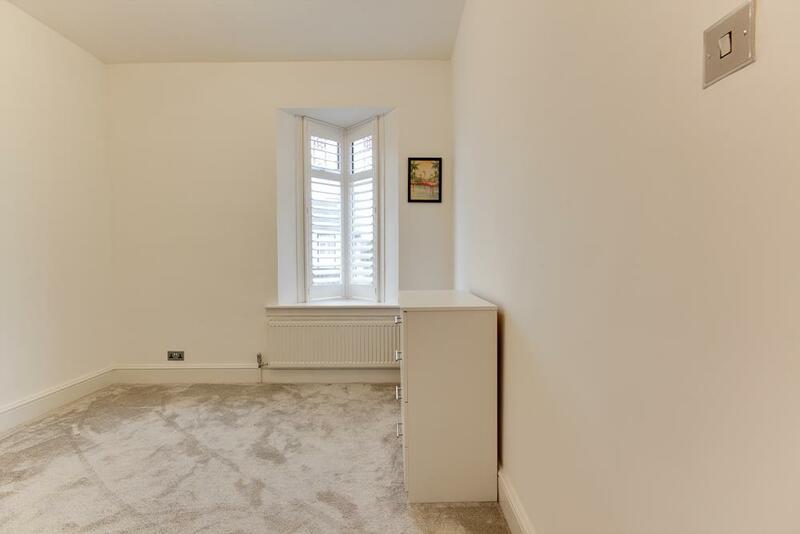 Fitted carpet, hanging light fixture, skirting board, radiator, access to second floor and doors to all rooms. 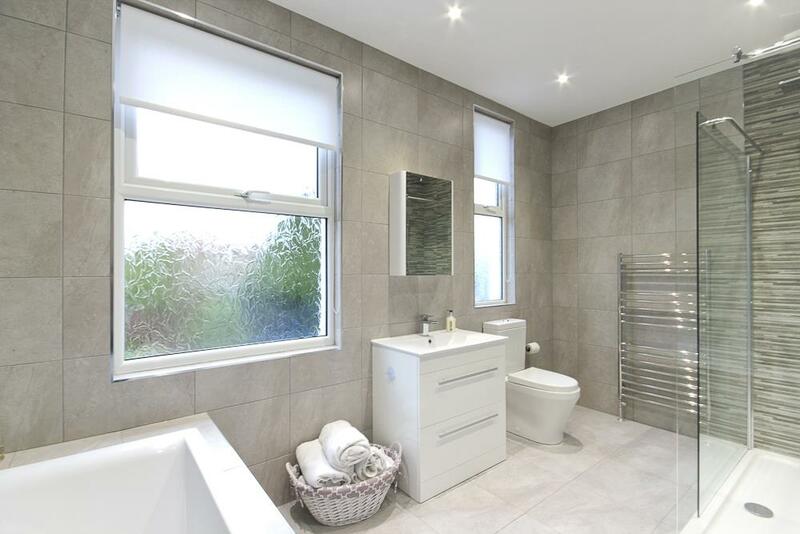 Tiled flooring, fully tiled walls, LED spot lights, large double glazed obscure window to back aspect and further small double glazed obscure window to back aspect. 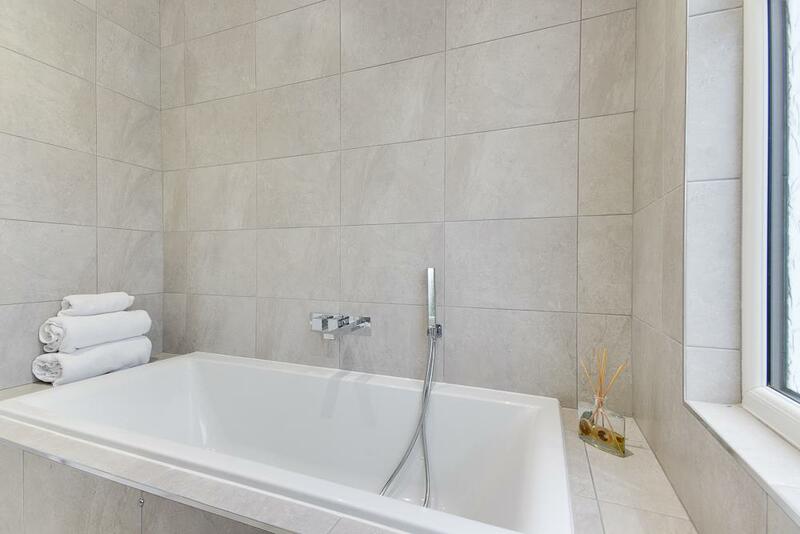 Large hand wash basin with drawer unit and mixer tap, large tiled panelled bath tub with deck shower attachment and mixer tap, heated towel rail, WC, large walk in shower with fixed shower head and hand shower attachment, feature tiling on wall in shower and original wooden door. 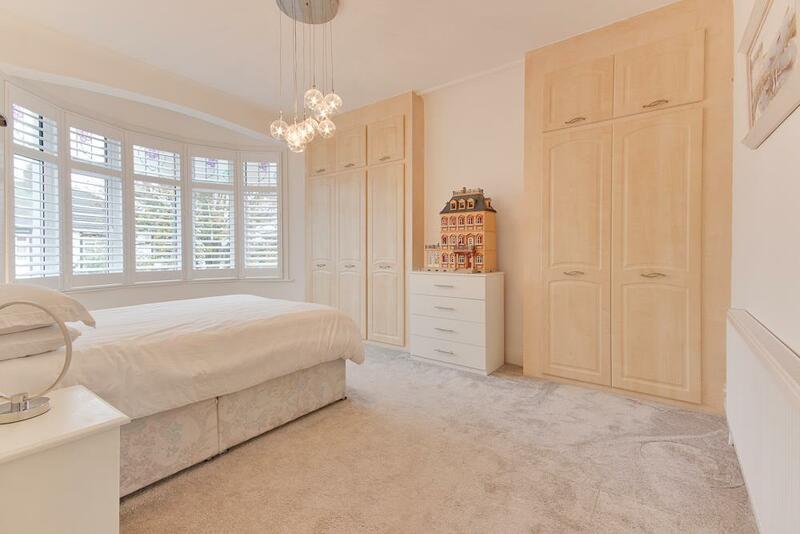 Fitted carpet, large radiator, fitted blinds, hanging light fixture, extensive range of fitted wardrobes, skirting, coving, papered ceiling & TV point. 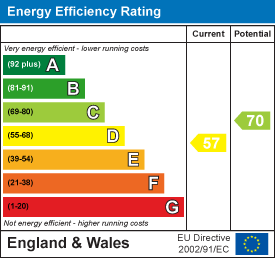 Fitted carpet, skirting, hanging light fitting, double glazed windows to back aspect, original wooden door & large radiator. Fitted carpet, double glazed window to front aspect with fitted blinds, skirting, fixed light fitting, low level radiator and under stairs storage cupboard. Stairs up to master suite. 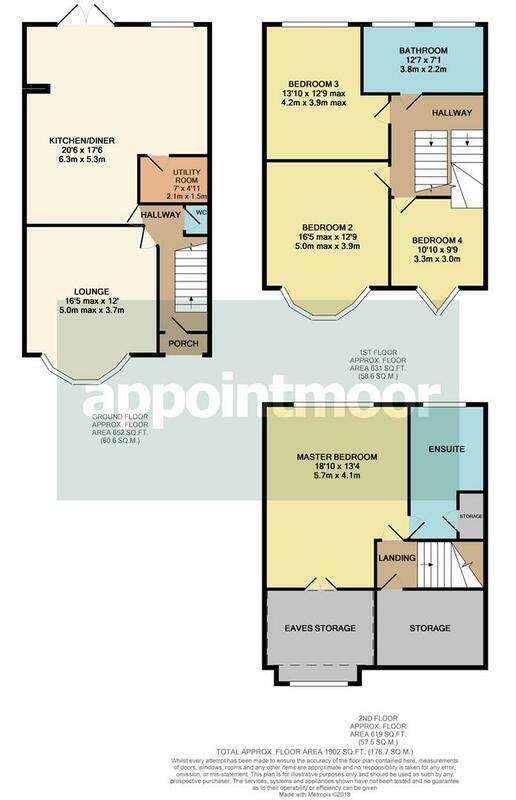 Fitted carpet, large double glazed window to back aspect, velux window to front aspect, fixed light fitting, skirting, large radiator & door to en-suite. Access from master bedroom to to 11 foot long eave storage space with restricted head height. 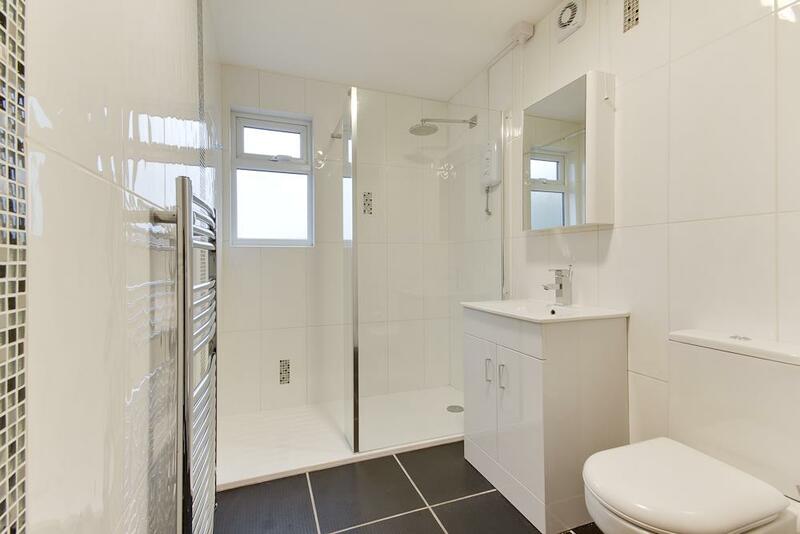 Fully tiled flooring and walls, WC, vanity hand wash basin, large walk in shower, double glazed obscure window to back aspect, heated towel rail, fixed light fitting and storage cupboard with combi glow worm boiler. 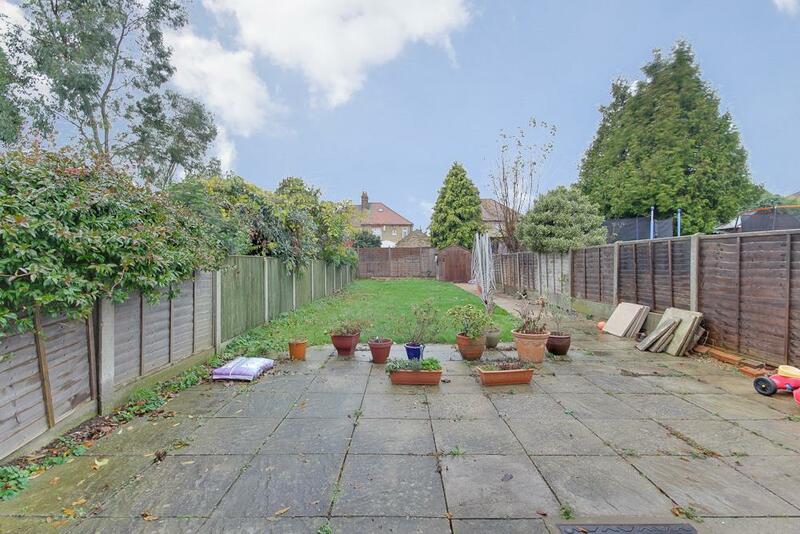 Large west facing rear garden with spacious paved patio area, lawn and garden shed.